Complete package of items required for proper installation of an MM K-member (does not include performance struts). Improves control, cornering ability, and front grip. Perfect for street performance, drag racing, and road racing. For details, technical information, or to purchase, click on the appropriate link below. 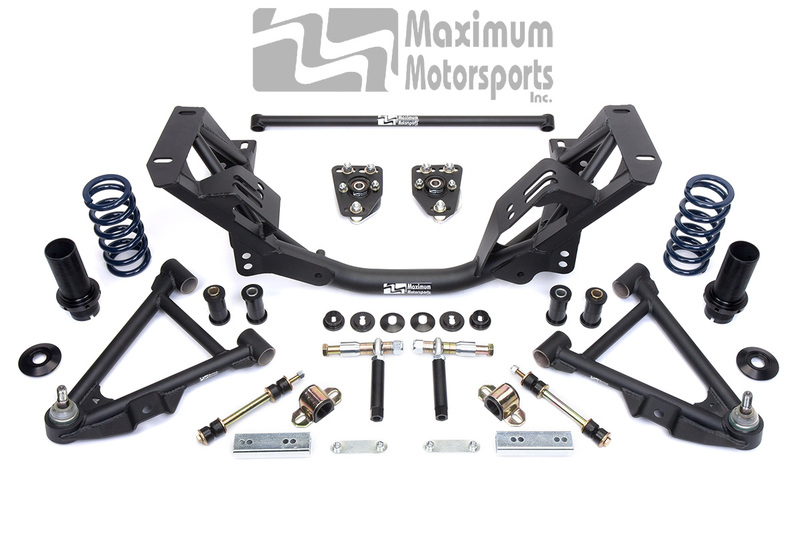 Transform your 1979-1993 Mustang’s front suspension with a custom, high-performance Maximum Motorsports K-member package. 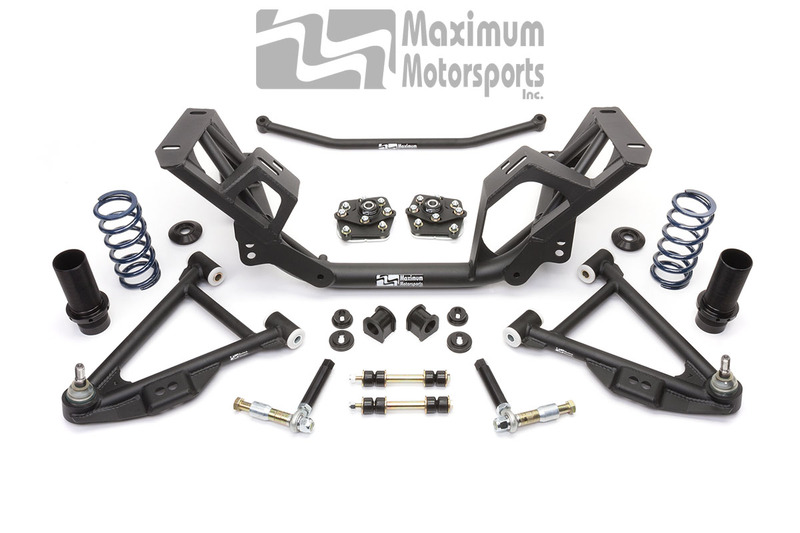 Transform your 1994-1995 Mustang’s front suspension with a custom, high-performance Maximum Motorsports K-member package. Transform your 1996-2004 Mustang’s front suspension with a custom, high-performance Maximum Motorsports K-member package.